Now that school has started up again, the easiest thing for me to do is revert to Stuff and Things on Thursdays. It's where I can get it all out at once if I don't have time to write separate posts. 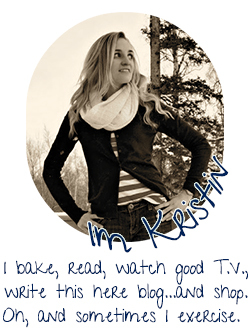 And I really don't have time to write separate posts for all the little things that I love to chat about. 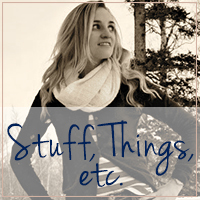 +I made myself this ultra-fancy new graphic and everything. +I finished season 2 of Unreal two weeks ago. REALLY enjoyed this show and season one was my favorite. I'm excited for season 3, which means they'll probably cancel it or something. Have you watched? Thoughts? +I also finished season 6 of Shameless. While I knew things would get nice and screwed up at the end, I didn't quite expect what happened to happen. As is the Gallagher way, I guess. +This letter by a teacher who instituted a no-homework policy is crap. Absolute garbage. And I don't agree with her at all because she doesn't even give any information in that letter. What "research"? What exactly did she base her conclusion on? I can do "research" too. I try to back up everything I say, so she needs an admin signature or a citation or SOMETHING. As a parent (or even a taxpayer in the district), I would want to know the science behind this. Teachers have been having this homework debate for decades. Of course homework isn't necessary! But practice makes perfect. And students who practice their math facts learn how to multiply and students who read at home actually learn how to read. That, indeed, is proven. I don't assign homework that is strictly homework. I assign classwork that the students work on during centers and small groups. If they don't finish it, they take it home. Some kids finish everything every day. Many kids do go home with no homework because they learned the art of time management. If you are choosing to use your work time to goof around then, yeah, you have homework. Life is rough and actions have consequences. Also, I would like to know what kind of school she works at. Looks like they're doing pretty well with their test scores. And here, check out the 2nd grade supply list. That's about $150 worth of supplies. Our supply list is about $50-60 depending on the brands (for 4th grade) and many kids don't bring those with them. In addition, I've worked in Title I schools for my entire career. Those kids do not always show up to kindergarten knowing how to read and write. They need consistency and predictability and homework helps to scaffold that. I don't believe that they are going to magically get more family time because I don't assign math homework. It doesn't work that way in most of our nation's schools. Economics affects everything. Also, looking at their website, that teacher's elementary school has a full HOUR more of school each day than I do. An extra hour with kids can do more than some math facts and reading at night, but that's not my choice. +Speaking of school...methinks I've potentially taken on too much. I've got my more-than 8am-4pm job, which requires meetings on top of meetings and working on the weekends more often than not. I've got Girls on the Run starting in a couple of weeks. I've got a pre-student teacher starting soon, so she'll be in my classroom a few days a week. And I've got a bunch of kids I'm trying to figure out. Plus the house, the property, the dogs, etc. And a few army wife obligations here and there (sigh). I know I want to be busy and busy makes the deployment go more quickly but it's a lot right now. And it's not like this was exactly avoidable. I wanted to be busy over the summer and I wasn't busy because summer simply isn't my busy season. 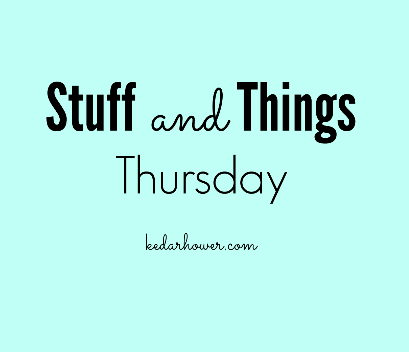 Something about the revival of Stuff & Things Thursdays made my heart happy! Maybe we should reintroduce the linkup! You know, to add to the billion other things you have going on right now ;) (If we were to do that, I'd handle the link. Let's chat). I'm with you on the teacher banning homework thing. She's made out to be some kind of hero--but watch her students all go on to bag groceries the rest of their lives because "shift work" is all they'll understand. Too harsh? Yay for S&T! The teacher thing is very interesting to say the least and I can say this district isn't doing that, ha! That's how I feel about that homework statement as well!!! It's aggravating that there is no concrete evidence to prove what she is saying. Yesssss TV talk! Glad you are caught up on both. I loved Unreal S1 but S2 was kind of all over the place... have you read the New Yorker article on Sarah Gertrude Stein? I thought it was really great and explained the show well. I may have already asked you this. And Shameless starts again in October so that's exciting. I keep forgetting to watch Unreal... I need to make a note! HUGE pet peeve when people say "research shows" or "research has proven." What research? Just saying it's out there doesn't make it true. Is Season 2 of Unreal up on Hulu? That's they only way I can watch it. I loved Season 1. I'm so glad you're bringing the link-up back. I don't LIKE to assign homework either. In my ELA class, students rarely have homework. The homework they DO have is almost always work that was just not finished in class or during the school day. In most of our 6th grade PM homerooms, students have a lot of time to work on assignments before going home. Plus, we encourage them to work on homework or read for AR during down time in class. If they don't finish it, it's because they didn't choose to.